Five California Chamber of Commerce-supported job creator bills have advanced to the Senate and Assembly floors following the May 25 deadline to pass the appropriations committees. AB 1734 (Calderon; D-Whittier) Extension of Film Tax Credits — Extends California’s current tax credit for motion picture and television productions, which has a sunset date of July 1, 2020, for an additional five years, continuing the success of this tax credit, which has brought more film and television production jobs to this state and has increased business to California. Assembly Floor. SB 951 (Mitchell; D-Los Angeles) Extension of Film Tax Credits — Extends California’s current tax credit for motion picture and television productions, which has a sunset date of July 1, 2020, for an additional five years, continuing the success of this tax credit, which has brought more film and television production jobs to this state and has increased business to California companies that supply productions with goods and services. Senate Floor. A fifth job creator bill, CalChamber-sponsored AB 2770 (Irwin; D-Thousand Oaks) is already in the Senate. The bill will enable businesses to avoid hiring repeat sexual harassment offenders, ending the cycle of harassment in industries across California. AB 2770 protects an employer’s ability to warn potential employers about an individual’s harassing conduct without the threat of a defamation lawsuit when responding to a reference check. The bill is scheduled to be heard in the Senate Judiciary Committee on June 12. 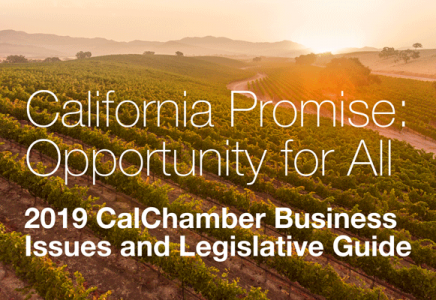 The CalChamber is encouraging businesses to contact their Assembly and Senate representatives to urge them to vote “aye” on these job creators.